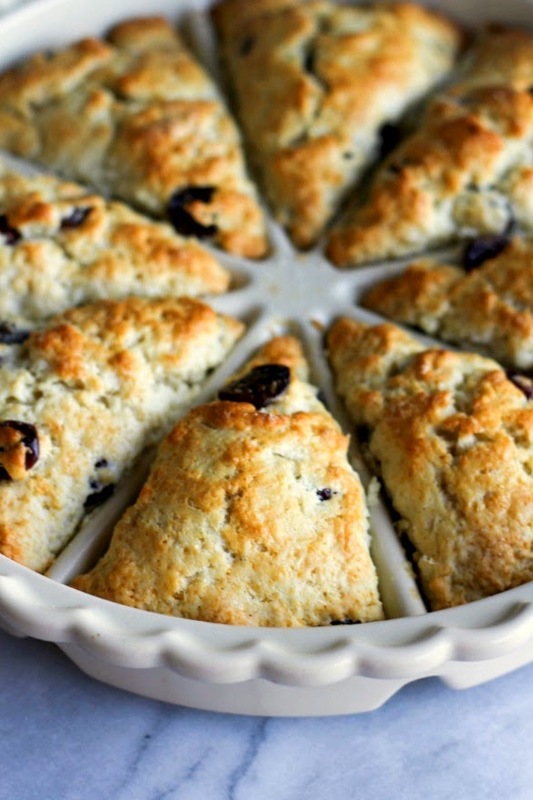 These sweet, tender scones are perfect for breakfast, brunch, or an afternoon snack with a cup of tea! It's no surprise that with my love for baking and all things baked, that I adore scones. I've made a batch here and there, but never really perfected my recipe. Well, until now anyways. After recipe testing for the last couple of years, I finally created the perfect scone. You only need a few ingredients and a few minutes of time to create the most delicious, fluffy, and tender scones. I found this adorable scone pan at World Market a few weeks ago and was thrilled to get in the kitchen and put it to good use. 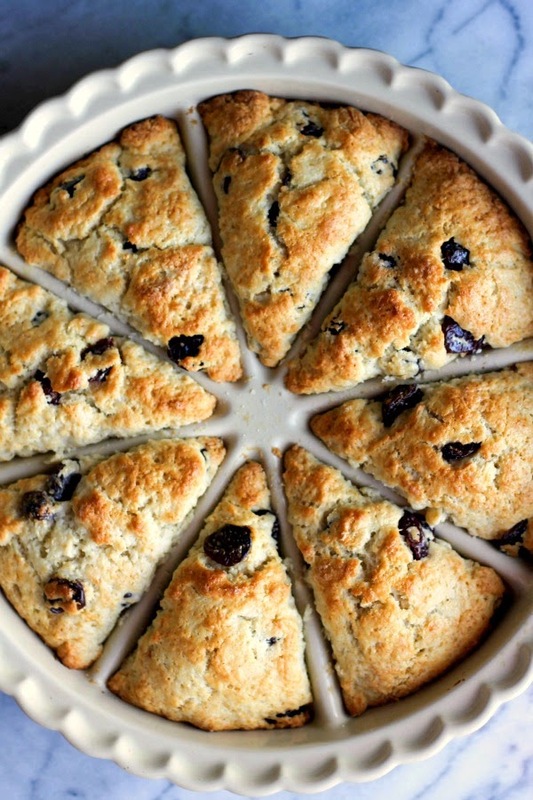 First up on the list was to make these amazing cherry cardamom scones. The cherries are sweet yet tart, the cardamom warm and spicy. A perfect combination in my eyes. 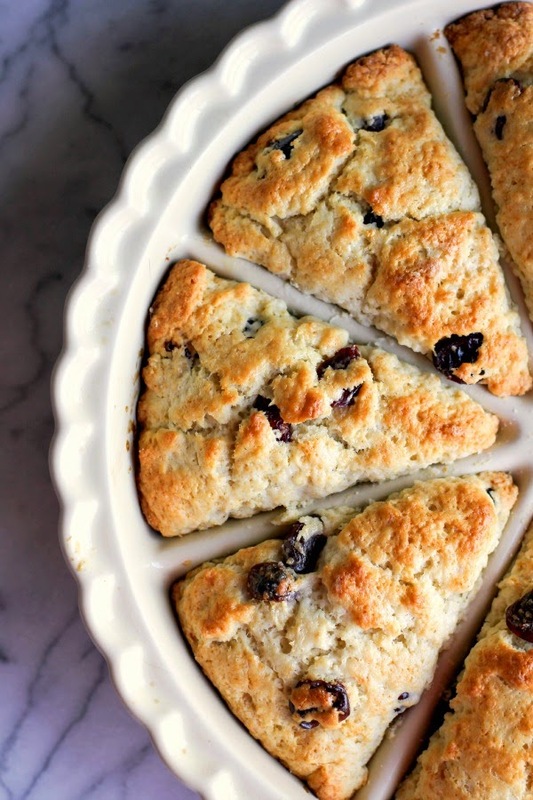 If you don't have a scone pan, no worries. The dough can be formed into an 8-inch or so round, then cut into wedges and baked on a lined baking sheet. In a large bowl, whisk together all of the dry ingredients, including the cherries. Make a well in the center of the bowl and add the cream. Gently combine the ingredients, making sure not to overmix. The dough will look a bit shaggy, but that's fine. Brush the tops with a little more cream and sprinkle sugar all over. Bake for 18-20 minutes, or until golden brown. Serve warm.